AIM – ALUMNI – COMMUNITY We love our alumni at AIM and the work they do in their communities. We have decided to showcase our alumni and some of the great work they do in collaboration with other health providers or on their own. Watch for updates and see what our alumni, and your favorite LMT’s, are up too near you! BRA TO SPA Event! 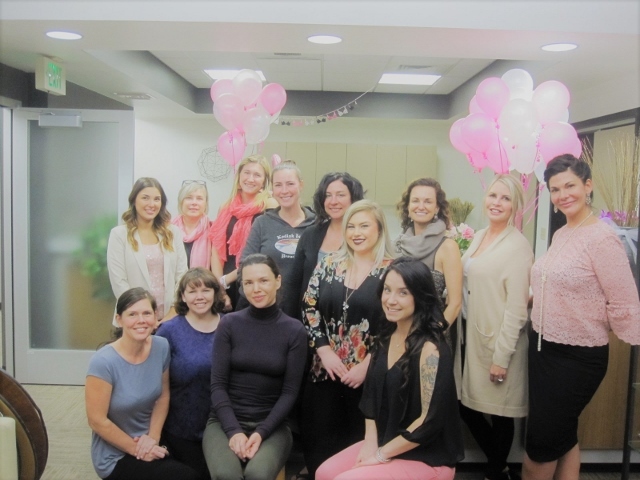 In collaboration with The Elizabeth Institute, Plastic and Reconstructive Surgery, Glow, and two AIM alumni, Jennifer Vaughn, LMT, CLT and Juli Bossert, LMT, CLT, the third annual BRA (Breast Reconstruction Awareness) to Spa event was a great success this year! Complimentary spa treatments were provided for 45 women with a history of breast cancer. Approximately 50% of the attendees were past patients of Dr. Margo Herron, Plastic Surgeon, and the other 50% were women of all ages with prior or current diagnosis breast cancer. With the statistic showing breast cancer directly affects 1 in 8 women, events like this are important and positive. 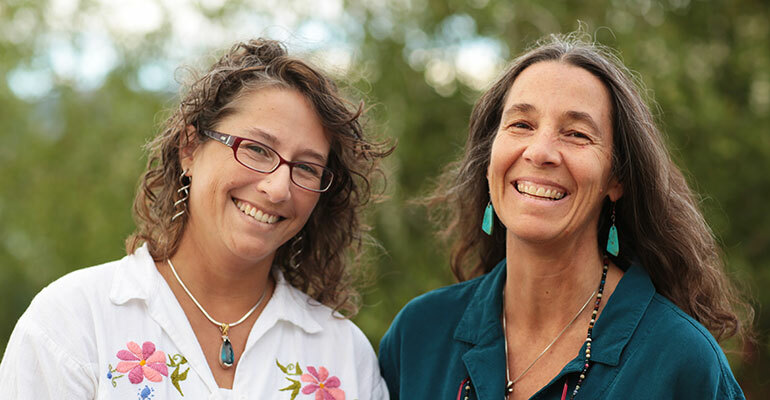 Jenn and Juli have both furthered their licensed massage therapy careers specializing in Manual Lymph Drainage and Oncology Massage, making this community event perfect for their specializations. Learn Ortho-Bionomy and Change Your Business! 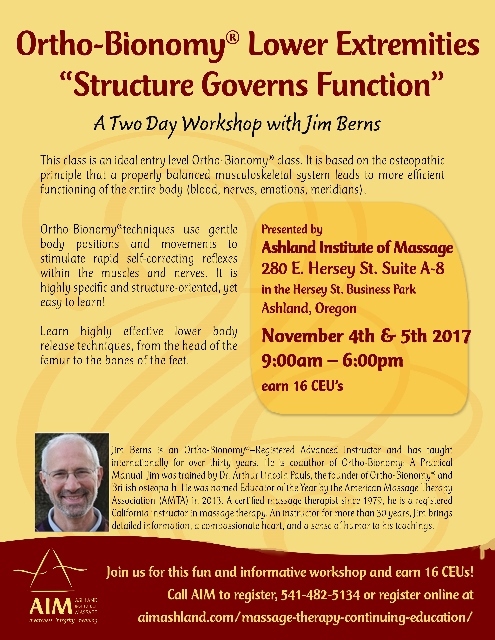 Ortho-Bionomy Lower Extremities: Structure Governs Function – Sign up for a 2-day workshop with Jim Berns on November 4 & 5, 2017 from 9am – 6pm for 16 CEU’s. This class is an excellent entry level class into Ortho-Bionomy. This modality is specific, subtle, highly effective, and easy to learn. WOW – Table Thai Massage CE Class in Bandon, OR!!! Enjoy Bandon By The Sea on the beautiful Oregon Coast! There’s still time to enjoy a weekend in Bandon, learn to integrate Table Thai massage in your massage practice, and it’s a business expense. How can you ask for more? It’s coming soon October 28th & 29th. Don’t miss this amazing CEU opportunity! Gil Hedley’s World Tour Coming To Ashland! Don’t Miss It!!! Gil Hedley is coming to our town on his national lecture tour, and will be presenting his 4 hour CE slideshow and lecture at the Unitarian Church on Nov. 8th. We have an arrangement with him to offer the lecture at a 25% discount to anyone we can sign up through AIM. We are extending that sign-up deadline to this next Monday, October 23rd. We hope that you will join us – it should be a memorable afternoon! We understand that Gil is a mesmerizing and passionate speaker about this amazing body we all inhabit. Don’t miss it! Myofascial Fundamentals CEU Class With Laureen Sutton This Weekend! 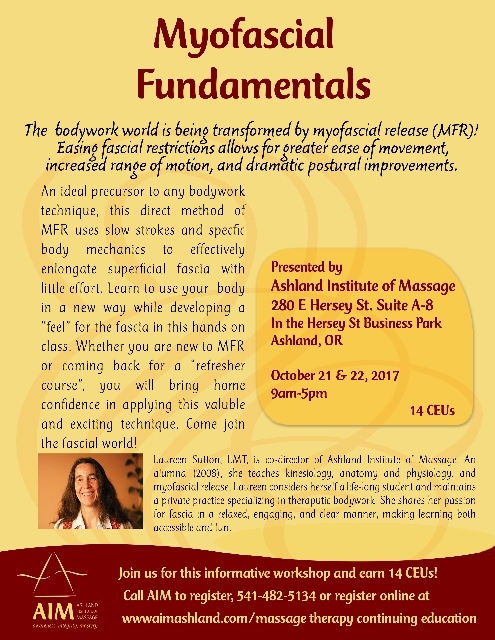 Learn Myofascial Fundamentals this weekend with Laureen Sutton! Earn 14 CEU’s on October 21st and 22nd. Laureen makes learning MFR fun and exciting! Enjoy integrating MFR into your massage sessions right away. 2017-18 Evening Class Retreat Was Incredible! 2017-18 Evening Class has just completed their retreat! 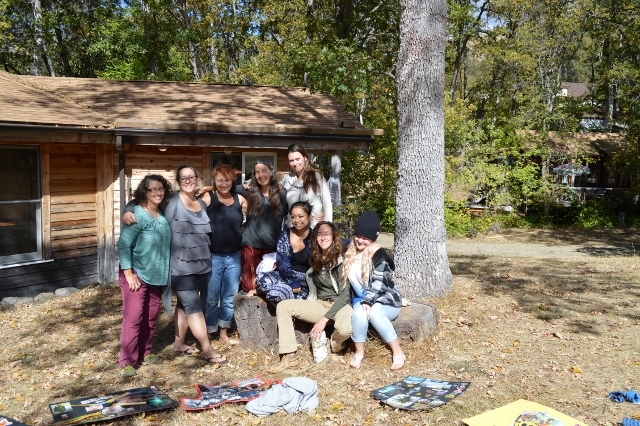 Looks like they had a wonderful time… and awesome massages to be had by all!!! Be a part of this super special event coming to Ashland via AIM! 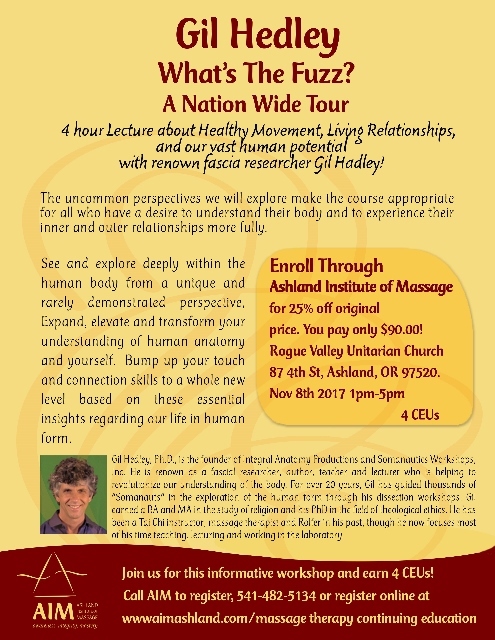 Gil Hedley, renown fascial researcher, anatomist, teacher, and lecturer is bringing his 4 hr “What’s the Fuzz?” lecture to Ashland! He teaches dissection workshops about fascia around the country. He is currently on a nationwide tour with his lecture showing many dissection slides and generally philosophizing about what we have learned from fascia research. We have an arrangement with him to do a bulk sign up until 10/18 through AIM, giving everyone 25% off the original lecture cost. Don’t wait, sign up now for this special event!!! AIM’s Having an October Drop-In Open House!!! 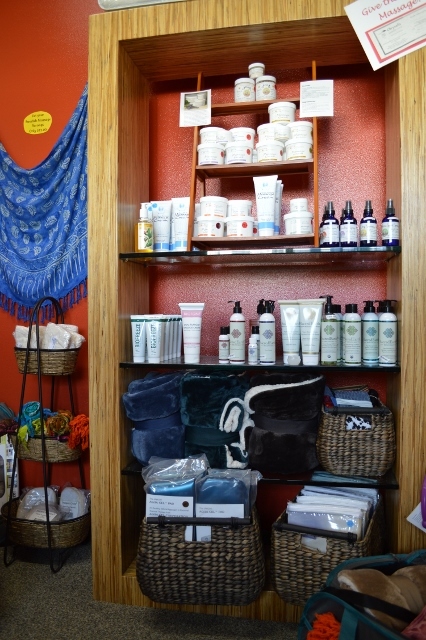 Come by and see us at Ashland Institute of Massage! Bryn McCamley and Laureen Sutton, owners/directors of AIM, have an amazing article in this months Locals Guide so we are having a Drop-In Open House for anyone who may have questions or are curious about a career in Massage Therapy! We invite you to join us on October 12, 2017 from 3 pm – 6 pm. Stop in anytime to meet faculty, alumni, and current students. You will have the opportunity to learn about a career in massage, state requirements, job opportunities, and so much more. Get all your questions answered and have some refreshments while meeting new people. We look forward to seeing you there! Check Out AIM’s Super Hero Article In The Locals Guide! AIM has an article in the Locals Guide this month “Be A Super Hero: Graduate from The Ashland Institute of Massage.” Read Bryn and Laureen’s comments on the massage industry and it’s projected growth, how AIM is top notch in students passing the MBLEX nationwide, the new changes coming to AIM, and so much more! If this peaks your interest about becoming a Licensed Massage Therapist we are having a special Open House just for you in October. Look for our next post to learn more!!!! Sign up to receive email notifications about new posts.